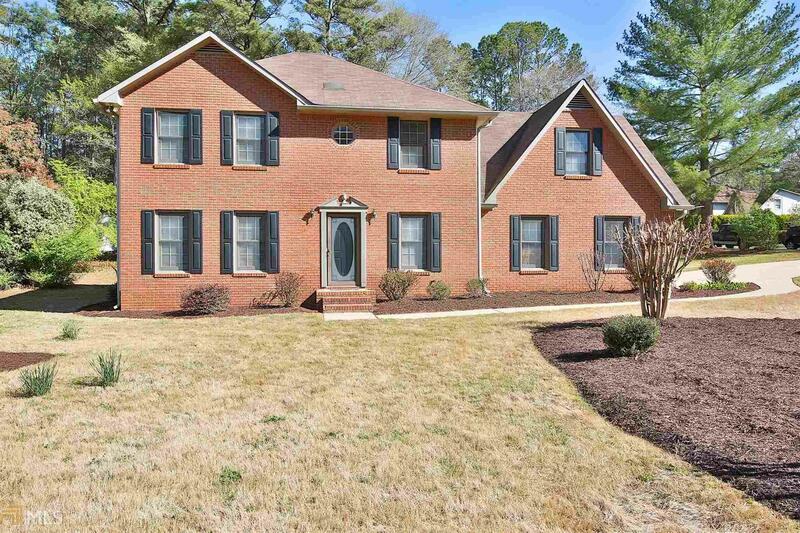 Brick Beauty on a Huge Corner Lot in the Heart of Peachtree City! This 4 Bedroom, 4 1/2 Bath Home has Spacious Rooms, an updated Kitchen w/Stainless Steel Appliances, White Cabinets & a Tile Backspash, Gleaming Floors & has been Freshly Painted thoughout the Entire Home. Plenty of Main Floor Living Space - w/a Large Front Living Room w/Lots of Natural Light, a Spacious Dining Room to Enjoy Mealtime or Entertaining & a Family Room w/Vaulted Ceilings & a Stunning Brick Woodburning Fireplace. Second Floor Master Bedroom Boasts Ensuite Bath w/Tile Flooring, a Garden Tub w/Coordinating Tile Surround, Separate Shower & Dual Vanities. Backyard has a Patio to Enjoy & Large Flat yard. 2 Car Side Entry Garage. Award Winning Schools & Easy Access to Dining & Shops. Directions: From Hwy 54, Go South On Peachtree Pkwy, Left On Windgate Rd, Right On Robinson Rd. Right On Cameron Trail, Left On Chestnut Field To 114 Chestnut Field.